If you want to up-level your brand, you need to make sure that you are utilizing your brand throughout your business and that it is recognizable to your audience, no matter how they choose to interact with you. Have you ever really thought about the different areas of your business and how your clients interact with you? I mean, there are a ton of ways – more than you are probably realizing. It is important that you make sure that they have the same experience whether they are on your website, social media, email, marketing, gifts, or in person. 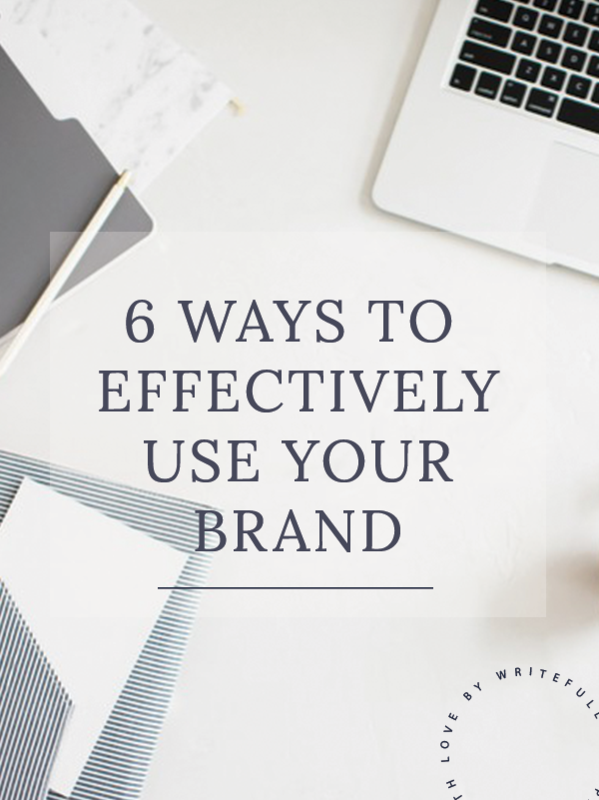 Whether you are new to the business world or you’ve been around for a while, here are 6 areas within your business to think about in order to effectively use your brand, and ensure that it’s instantly recognizable to your clients. So how do you use your brand more effectively throughout your business? Website. Your website copy should reflect your brand voice. Also, think about your photos, headshots, and accent graphics. Don’t include things that you think are pretty just to have something up; make sure that they align with your brand. Social media. Ensure that whatever platforms that you are utilizing for your business that you are using the same profile picture and that the bios and captions include similar information. Doing so will eliminate confusion from your visitors, and they will know that they have found you no matter where they go. Email. Your email communications should also align with your brand and brand voice. You can easily include a signature design or include some graphics that you use throughout other areas of your brand, such as your submark or a tagline. There are also a lot of places that you can go in order to create an email signature that you can embed into your emails. Marketing Materials. Whether it’s on your business cards, welcome packets, clothing, or advertisements be sure that your marketing materials are cohesive with your brand and one another. You will also want to make sure that your pieces are reflecting your business and your services the way that you intend. Gifts. Think of something that is unique to your business and the experience that you want your clients to feel. It’s so fun to surprise your clients with a little something that they may not have been expecting. If you are a photographer you could include a couple extra images, a keepsake box, or a customized thumb drive. For a baker, it could be a mini version of their wedding cake or some cupcakes in the same flavor for their one year anniversary. For branding, it could be some launch graphics, a custom mug or notebook with their new brand. Whatever you go with, make sure that it reflects your business and the services or products that your clients hired you for. I would love to hear more about how you effectively use your brand and some of the fun things that you have included in your own business. As always, if you have any questions, or would love to work together let’s chat! It’s so important to build your brand in these areas. I like to wear the color of my brand when I network as well. I do that too, as it just pulls it in that much more! This is a great resource! Thank you for sharing your expertise! Great tips! We were thrilled to read that we are already doing a lot of these things but also walked away with a couple new and fun tips! Great advice! I also like to find other people that align with my mission and ask them for shout outs, etc., and give them shoutouts too!